It has been over 10 years since the Department of Justice promised to introduce legislation to protect LGBT people and other vulnerable groups from hate crimes. I urge you to move South Africa’s Hate Crimes Bill forward now. Update: 15 March 2018: Good news in South Africa: after 10 years of waiting, the Hate Crimes Bill has finally been submitted to Parliament! 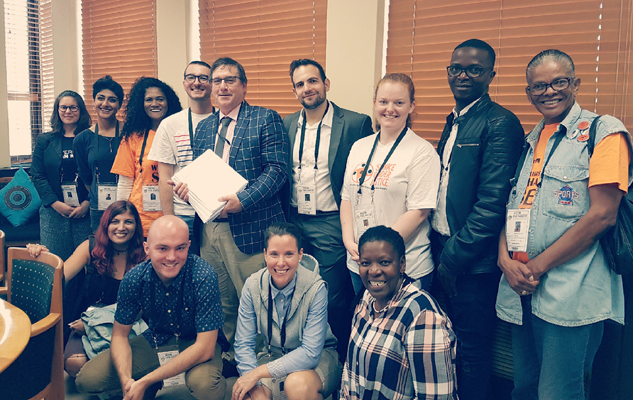 This is an important victory for our partners at the Hate Crimes Working Group and activists on the ground, who have worked tirelessly to get the government to take action against hate crimes in South Africa. There is still a long way to go, and All Out members around the world will keep supporting our partners in South Africa push until the bill becomes law. Hate crimes against LGBT people are not rare in South Africa – but perpetrators often go unpunished. For 10 long years now, our Department of Justice has promised to enact a law to protect LGBT people and other vulnerable groups from hate crimes. The bill is ready but our Minister of Justice, Michael Masutha, is in no rush to move it forward. Sign the petition now and urge South African authorities to stop stalling and push forward the country's hate crimes bill. This campaign is being run in conjunction with the Hate Crimes Working Group – South Africa.